Brad Penner is a 2007 UBC graduate with an honours degree in human kinetics and exercise science. Brad, a BCAK-registered kinesiologist, has also completed the BCAK’s Functional Assessment of the Spine and Extremities course (levels one and two). Brad also is a National Strength and Conditioning Association certified strength and conditioning specialist and Twist Conditioning certified sport-conditioning specialist (level two). Brad’s extensive clinical experience has honed his practical and foundational skills in strength training and postural correction; he provides the highest quality in evidence-based treatments available. Brad is highly experienced in adapting and modifying tailor-fit programs for each unique client’s goals and level of function. Included in Brad’s list of training clients are standout athletes such as Columbus Blue Jackets Ryan Johansen (fourth overall pick 2010 NHL Draft), Jack Campbell (11th overall pick 2010 NHL Draft), and local NHL players Gilbert Brule and Kyle Turris. 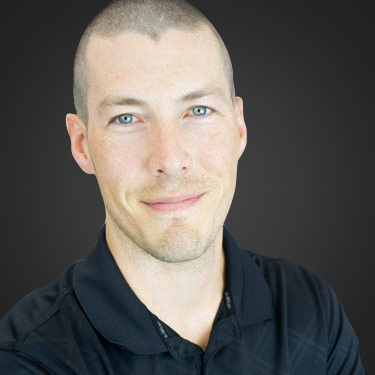 In addition to working with high-level athletes, Brad trains active-rehabilitation clients and anyone with the desire to improve their health and fitness at Langley Sports & Rehabilitation. He has been a leading kinesiologist involved in supporting hundreds of clients regain function and quality of life after sustaining injuries. In his spare time, Brad enjoys fishing, hiking, playing baseball and being active with his young family.